When it comes to shopping online it can be a headache when things do not go right. The website is faulty, your package has been damaged, you didn't receive what you ordered - it could be anything but the worst thing is when you contact the company via the website you either get a standard template message or no reply what so ever. You ever had these problems ? I know I have & it can be a nightmare but rarely do I get an company that I'm thrilled with the customer service that I would blog about it. 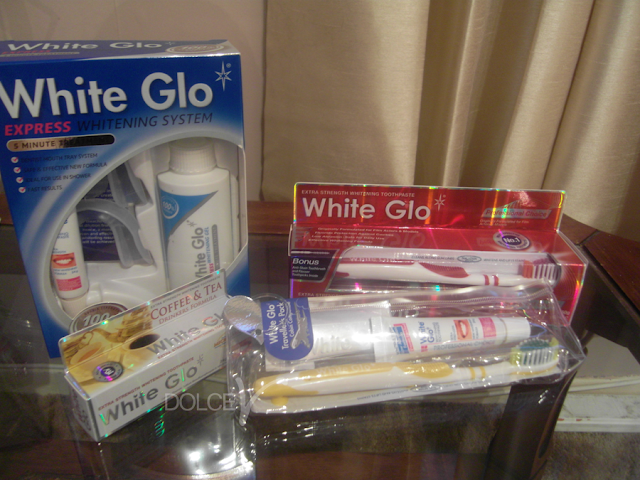 My mum uses White Glo toothpaste which is an Australian based brand - the toothpastes are available in Boots and I have heard good thing about them. Two weeks ago I was asked by my mum to see if I could find teeth whitening by White Glo, it's currently not available in Boots so you have to order from the website . Not a problem. If paypal is available that is how I chose to pay but I was hitting a problem with the paypal so I contacted them ( keep in mind Australian time is further ahead than the UK ) within minutes I got a template email that gave me a 10% discount for contacting them - nice touch there. I got a reply later the same day from a customer assistant named Jeffrey informing me that they had resolved the paypal issue so off I continued but I kept getting an error, once again I contacted Jeffrey and White Glo once again went and investigated the issue, there was something on my end that was preventing the paypal so I decided to use my card directly. It worked and Jeffrey was so helpful and fast with responses to me I was more than happy to be a international White Glo customer. If you would like to check out the White Glo website you may do so HERE! p.s. I wasn't asked to do a review as they do not currently know of this blog. let me know if the white glo system works for you pweety pleez ! Got a discount when I contacted them via the template email 10% which was a nice touch, the added extras was due to all the hassle I was going through ordering from them which was very sweet. I've never had that with a UK company let alone such prompt response.